This is a brilliant idea. The one size V is weighted to lay flat against any clothing, with elastic at the shoulders for comfort. 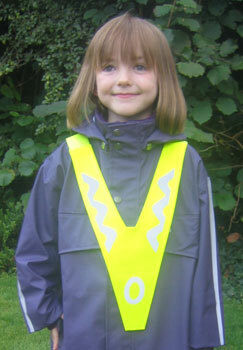 Ideal for walking buses, and any outdoor use. 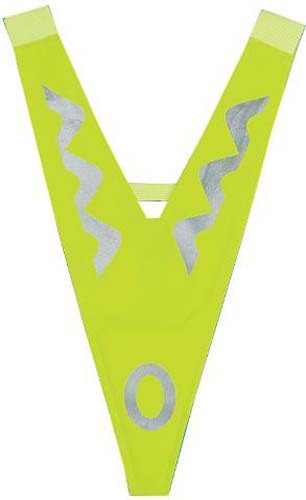 Neon yellow, with 3M reflectors front and back for even greater visibity. Weighted to lie flat against clothing. Colours: Available in neon yellow only as shown.